Marketers need to have deep insight into what affects their customer’s decision to purchase solutions like theirs. Why is this important? Marketers make decisions every day – what to write about, how to say it, and where to make that information available to their prospective customers. Without these insights, marketing decisions are inevitably based on internal perceptions, historical metrics, and frankly, pure guesswork. But when marketers understand how and why customers make the decision they want to influence, they can ensure that every marketing strategy and activity is on target to improve someone’s buying experience. Companies are often surprised to learn that the quality of their customers’ interactions with sales and marketing outweigh factors such as price, features or benefits. When I started the Buyer Persona Blog in 2006, the term “buyer persona” barely registered on Google. By last year, there were countless blog posts, ebooks and articles on the topic, and most of the advice was terribly misleading. As a result, people were building too many buyer personas, and because they were built incorrectly, these personas weren’t doing anyone any good. I saw that there was a need for a definitive guide explaining what personas are, how to build them, and how to use them to make better marketing decisions. I was concerned about the future of buyer personas given the limited and misleading ideas around this topic. The most important idea in Buyer Personas is that there is a method for hearing customers reveal the critical aspects of their buying experience, and you can’t get there with traditional market research. New skills and processes are involved in conducting the interviews and consolidating the findings into actionable personas. The book provides in depth explanations about how to do all of this. 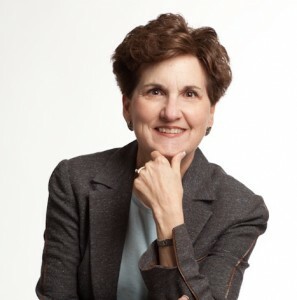 I first learned how to conduct buyer interviews in the ‘80s when I worked for Regis McKenna, the agency that launched Intel, Apple and just about every other important technology company at the time. Over the decades, as my career grew to include leadership and training roles in sales and marketing, I created the unique interview method described in the book. A lot of marketers have experienced that frustration. So first, I want every marketer to know that the information they need to make informed decisions is readily available, and to understand exactly what they need to do to either conduct these interviews themselves or hire a competent third party to do so. Second, we conduct interviews every day with business executives who tell us that it is incredibly difficult to get useful information from their sales and marketing experiences. I want to stop hearing that. 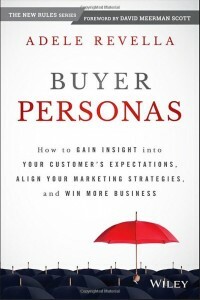 And my biggest wish – I would be thrilled if people would stop writing ebooks, blog posts and other content that say buyer personas are just a description of a person who buys. I’m hoping to see an upswing in online content that describes the importance of having personas that reveal deep insight into the buying decision. For more than 25 years I have been focused on a single goal: developing marketers who are the trusted source of competitive strategies and rapid revenue growth. My unique perspective derives from decades of experience as a sales and marketing executive, trainer, researcher and entrepreneur. The Regis Touch by Regis McKenna. This book was published in 1986, but if I hadn’t read that book, I wouldn’t have decided to work for that agency, which would have changed everything about my career. Influence: The Psychology of Persuasion by Robert Cialdini. I heard Dr. Cialdini speak at a conference decades ago and rushed out of the room to buy his book. It is still the #1 Bestseller on consumer behavior. Positioning, the Battle for the Mind by Al Ries and Jack Trout. This is another book that has been around for decades, but it simply and clearly explains the dilemma that all marketers face on a daily basis, and why our work is never going to be as simple as it appears. Without a doubt, it was writing this book. I’m a full-on, 100% extrovert. I once heard someone say that extroverts get their energy from being around people, and then they can be alone for a while. Introverts (I’m married to one) get their energy from being alone, and then they can be around people for a while. So put me in front of a room with a microphone and I am in my element. But ask me to sit in front of a keyboard for six months and write a book – that was tough! Plus all of this was happening while the company was in rapid growth mode. We tripled in size last year, which meant that writing was a nights and weekend project. I am just grateful that my husband took it all in stride, and that the book has been so well received by readers. That makes it all worth it. From the time I was a very young girl, I wanted to be a fashion designer. I actually won a fully paid scholarship to attend the Fashion Institute of Design and Merchandising in Los Angeles, but my husband took a job in Arizona, which is hardly the fashion capital of the world. So I went to work for a start-up division of Wells Fargo Bank, and they asked me to look into word processing. The idea was that computers would enable a “paperless office” and they wanted me to figure out how to make that happen. I failed to create a paperless bank, but that project led to a lifetime love affair with the technology industry. Still, I always watch the Academy Awards to see who wins the Oscar for costume design, and try to imagine what life would have been like had I pursued that direction. One of these days I hope to find the time to design costumes for the actors at our community theater. Photo and images copyright © Adele Revella, used with permission.